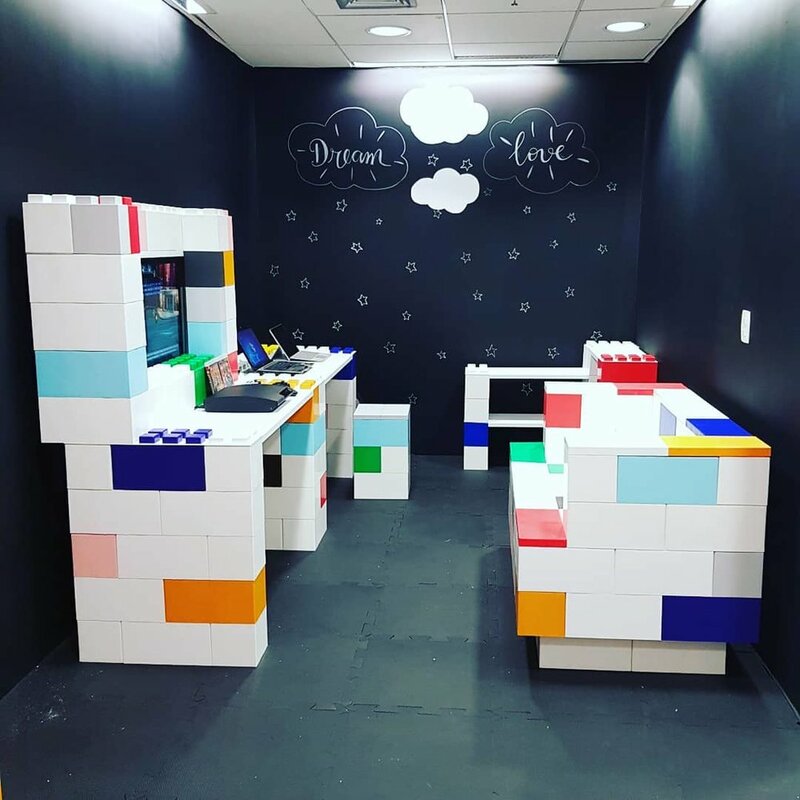 LEO PEREIRA, EVERBLOCK BRAZIL AGENT HAS DEVELOPED A NEW CONCEPT STORE WHERE KIDS CAN COME TO BUILD WITH THE BLOCKS AND LEARN ABOUT SCIENCE, MATH, ENGINEERING AND TECHNOLOGY. EverBlock Brazil developed a relationship with a popular mall in Sao Paulo and negotiated to open the kids play center in an unoccupied store, which also serves as his showroom for potential clients to visit and to market and sell this concept store to interested investors and entrepreneurs. Instead of paying rent for the location, they are using an unoccupied store until a new tenant would like to lease the space. As a result, Leo does not pay rent, he pays mall management 15% of the revenue that the play center generates and in this respect the mall became a non-vested partner. The mall agreed to this due to the increase of foot traffic into the mall by clients, parents, children, investors and entrepreneurs. *This concept will work in any location, and could also operate as a “pop-up” play center where the location changes every few months. Parents bring their kids to the play center and there is a $12 charge for the first 30 minutes, or $22 per hour at the play center. Kids under 6 years of age must be accompanied by an adult, the adult pays $3 to enter the play center and there is a sleek and stylish waiting room for parents to watch TV, read or view their children having fun and learning. The play center is open seven days a week; Monday – Wednesday from 12pm – 10pm and Thursday – Sunday from 10am – 10pm. *The price is in U.S. dollars and can be adjusted to each local region. All staff members at the play center must be a specialist in education or trained and certified to work with children. Majority of Leo’s staff members have a degree in education and early childhood development. Every item and structure in the play center is all built using the blocks. From walls and seating, to desks, reading nooks, characters and props, bookshelves and more. Which is also a great selling point as visitors get to see all of the capabilities that the blocks offer. Some walls are painted in chalkboard paint so that kids could also draw on the walls using chalk. EverBlock Jr. is also involved and used for kids to build with, draw on and decorate, and can even take their designed Jr. block home with them. Potential investors and entrepreneurs will find this concept lucrative, and well received, due to the educational component that the play center offers. A potential investor must purchase a “Play Center Block Kit”, with the minimum quantity of blocks to operate the business; 1,200 or more blocks. The floor could be built and designed using EverBlock Flooring, but we would also recommend adding soft floor mats to avoid damage to blocks being played with and thrown, as well as to reduce noise.